All Bidvest SACD facilities are licensed by the South African Revenue Services (Customs) and this has been in place since 1977. OS and SOS facilities in all depots. Bidvest SACD is licensed to conduct the transportation of containers within the borders of South Africa. All rail siding’s are regularly audited and maintained in accordance with Rail Safety Regulator requirements. 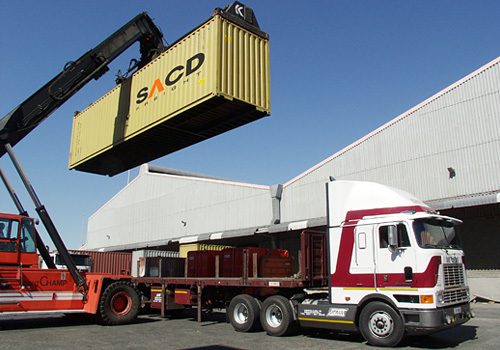 All Bidvest SACD operations have container weighing facilities all of which are approved by SANAS. Need assistance with your freight management or want a quote?